Xuzhou is the first station of the Grande Canal from north to south in Jiangsu. Xuzhou is the first station of the Grande Canal from north to south in Jiangsu. As the oldest city in Jiangsu, boasting 5000 years of outstanding culture and some 2500 years of foundation. Throughout history there has been rich and invaluable heritages of Han culture represented by Han-Dynasty Tombs, Han-Dynasty Stone Carvings and Han-Dynasty Terra-Cotta Warriors and Horses which is recognized as the “three wonders of Han Dynasty”. Rivers include the Yi River, Shu River, the Grand canal and Ancient Yellow River running across it. 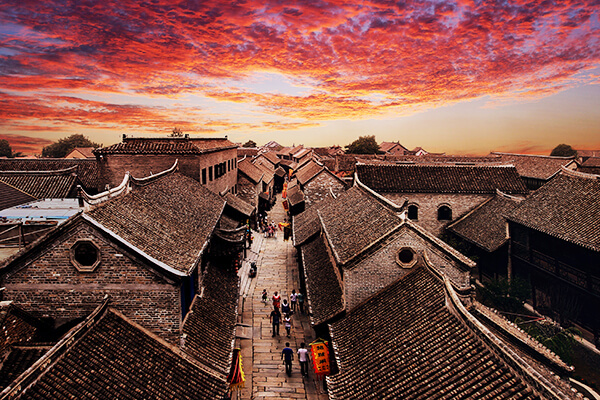 Located in the intersection of Beijing-Hangzhou Grand Canal and Luoma Lake, Yaowan Ancient Town is a ancient water town with an extensive history, which is honored as the “Golden Waterway Triangle” and “The First Ancient Town at the Ancient Canal Bank”. 1.Aircraft: Xuzhou Guanyin Airport provides flights to almost all major cities all over the country. Visitors can take the plane to Xiuzhou Guanyin Airport and then take the bus to Yaowan Ancient Town.